Bienvenu Kamwendo is a youth leader, speaker and trainer focusing on rural areas in the eastern part of Democratic Republic of Congo (DRC). After graduating from the University of Goma with a degree in Economic Law, he started his leadership journey. He worked at Himbi Institute in Goma where he trained others in music, photography, and art to help orphans and marginalized young people affected by war. In 2011, he started his own organization called Remember Youth For Change. Through his organization, he has created a mentoring program for young leaders in DRC. This program helps young people affected by war, specifically child soldiers, in order to start a new life in their respective communities. 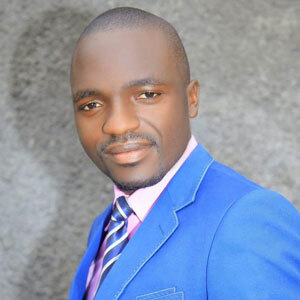 He also advocates for climate change awareness and works with different NGOs who focus on the same issues.Bienvenu is an alum of the Young African Leaders Initiative Regional Leadership Center in Civic Leadership. He has completed training in peace building, conflict resolution, trauma healing, and monitoring. His hobbies are playing the piano, guitar, telling stories, watching movies, and travelling.